The Slab Gate Valve is a fluid control device that raises or lowers a gate with a screw mechanism. They typically fail where the gate rests at on the seat. If either surface becomes damaged, the seal is not tight and water flows past the valve. 1 Shut off the water before the gate valve by closing a valve upstream of it. You may have to close the main water valve to the home if there is not another option. If it is your main water valve that needs repairing, you will need to contact the city to turn off the water at the street. 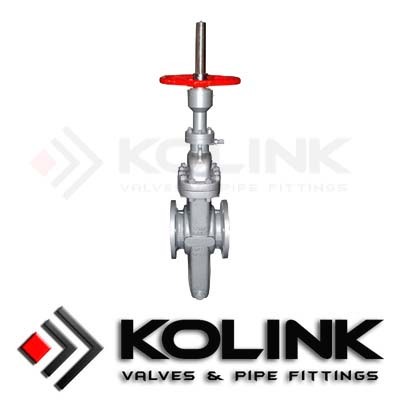 Open a valve downstream of the gate Forged Steel Globe Valve to remove the pressure from the pipes. 2 Remove the turning mechanism from the gate valve with the appropriate tools. Most turning mechanisms will be secured by a single slotted screw in the center of the handle. Loosen this screw to remove the turning mechanism. 4 Remove the Gate Valve seat with a seat removal tool. The seat removal tool maybe specific to your faucet. Examine the valves seat for evidence of damage. If the seat is not smooth or uniform replace it with a new seat.